Have you noticed a strange smell in your home? Many attics, basements, and other areas often contain funky smells that you just can’t seem to get rid of, no matter how many times you spray air conditioner and fluff out your pillows. If you’ve noticed an unpleasant odor in your home that you simply can’t manage to get rid of, it might be mold or fungus. If you suspect that your home contains mold or fungus, or if you’re simply not sure, feel free to give Southern California’s environmental experts at H2 Environmental Consulting Services a call. We’ll be happy to schedule a thorough environmental evaluation of your property, including its air, water, soil, and physical structure, to check for contaminants. Sometimes a mold problem may be visible, or an unpleasant odor may be present, but often, mold problems go unnoticed for long stretches of time. There are various types of mold that may be lurking in your home, and the only conclusive way to determine the presence of mold is by enlisting the expertise of H2 Environmental Consulting Services. Mold requires a food source, oxygen, and moisture to grow. Organic carbon, or a primary food source of mold is contained in building materials and oxygen is always present indoors, so the main way of preventing mold growth is via the water source. Whenever excess moisture is able to access building materials, mold will grow by digesting the food source and releasing airborne spores. If mold is detected on your property, our main line of focus will be on identifying its water source so it can be stopped. 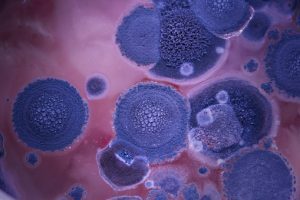 Yes, all molds may adversely affect health, and some release mycotoxins, which are especially dangerous to the health of children, the elderly, and anyone else who is immunocompromised. At H2 Environmental Consulting Services, we’ll proactively determine the presence of mold in your home, as well as the type of mold present, so that proper steps can be taken to safely remove it and prevent regrowth. Scientific studies have concluded that people who have been exposed to microscopic fungus have a higher rate of respiratory problems such as asthma. If you or a loved one suffers from respiratory problems, it’s especially important for you to have your home’s IAQ (Indoor Air Quality) evaluated by the experts at H2 Environmental Consulting Services. We can cover all your fungus needs including proper identification and remediation services. We follow all federal and state regulations to the letter, so you can trust that your property is in excellent hands with H2 Environmental Consulting Services. The best way to stop wondering about harmful mold and fungus in your home is to have it evaluated by the experts at H2 Environmental Consulting Services. Call (800) 524-3578 to schedule an appointment – we’ll be happy to schedule it at a date and time that’s most convenient for your busy schedule. You’ll breathe easy when H2 Environmental Consulting Services signs off on your property!